Most million-dollar luxury yachts just look like giant versions of the cabin cruisers you can find at a local marina. 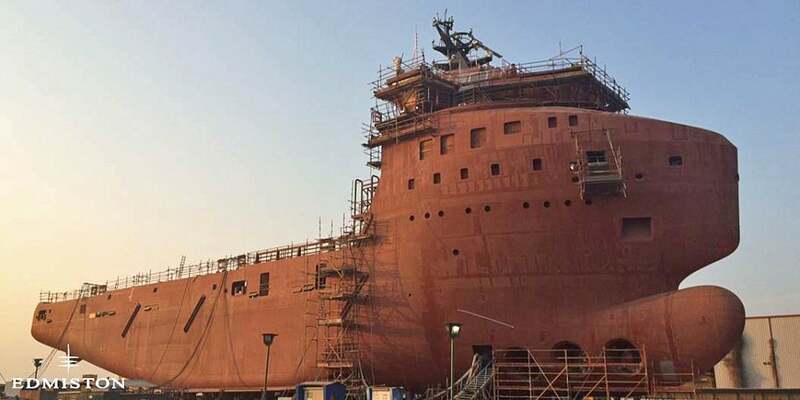 The Kilkea, however, is based on a supply vessel platform, so it has a unique industrial look to it. But with an estimated price tag of $US62 million ($81.6 million), it promises to be far more luxurious than a freighter. Sitting in the shipyard ahead of its luxury makeover, the VARD 1-08 Kilkea looks downright boring. 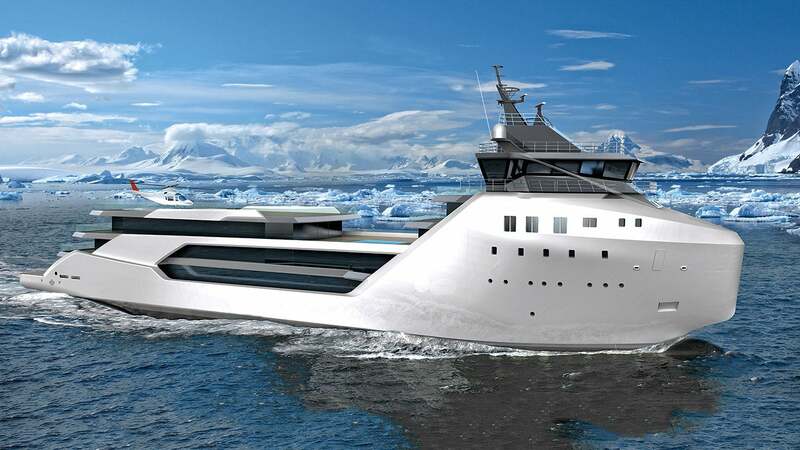 You'd expect it to be delivering fuel or other stocks to remote outposts in the Arctic, and that's exactly why its creators, a shipbuilder and a design firm, chose to start with this platform. Eventually the 81.7m-long cruiser will be able to carry 36 guests in the lap of luxury to the farthest corners of the world. When fully stocked it can head out to sea for up to 30 days at a time, with an onboard helicopter furthering its reach for unique daily adventures. The new super yacht's creators are even claiming the vessel is being engineered to be more environmentally friendly with lower fuel consumption requirements. Nevertheless, it's still an obscene show of wealth, and anyone genuinely concerned about the environment will have a hard time justifying why they need to add this to their toy collection.